Cornell U: TMD’s Group Working to Devise Next Generation of ‘Super-Thin’ Super-Conductors ~ Possible Platform for Quantum Computing? Yi-Ting Hsu, a doctoral student in the Kim Group, is lead author of “Topological superconductivity in monolayer transition metal dichalcogenides,” published April 11 in Nature Communications (“Topological superconductivity in monolayer transition metal dichalcogenides”). Other team members include Kim Group alumni Mark Fischer, now at ETH Zurich in Switzerland, and Abolhassan Vaezi, now at Stanford University. The group’s proposal: The TMDs’ unusual properties favor two topological superconducting states, which, if experimentally confirmed, will open up possibilities for manipulating topological superconductors at temperatures near absolute zero. Kim identified hole-doped (positive charge-enhanced) single-layer TMDs as a promising candidate for topological superconductivity, based on the known special locking between spin state and kinetic energy of electrons (spin-valley locking) of single-layer TMDs, as well as the recent observations of superconductivity in electron-doped (negative charge-enhanced) single-layer TMDs. The group’s goal is a superconductor that operates at around 1 degree Kelvin (approximately minus 457 Fahrenheit), that could be cooled with liquid helium sufficiently to maintain quantum computing potential in a superconducting state. Theoretically, housing a quantum computer powerful enough to justify the power needed to keep the superconductor at 1 degree Kelvin is not out of the question, Kim said. In fact, IBM already has a 7-qubit (quantum bit) computer, which operates at less than 1 Kelvin, available to the public through its IBM Quantum Experience. A quantum computer with approximately six times more qubits would fundamentally change computing, Kim said. Kim and her group are working with Debdeep Jena and Grace Xing of electrical and computer engineering, and Katja Nowack of physics, through an interdisciplinary research group seed grant from the Cornell Center for Materials Research. Each group brings researchers from different departments together, with support from both the university and the National Science Foundation’s Materials Research Science and Engineering Centers program. “The membrane can be incorporated with batteries in a variety of form factors, since it’s like a paint — and we can paint the surface of electrodes of any shape,” Choudhury added. The above post is reprinted from materials provided by Cornell University. Note: Materials may be edited for content and length. Shewanella oneidensis is a ubiquitous, globally distributed soil bacterium. In nature, the microbe thrives on metal ions, converting them to metals like iron that serve as nutrients for other microbes. The bacterium was shown to be harmed by the compound nickel manganese cobalt oxide, which is produced in nanoparticle form and is the material poised to become the dominant material in the lithium ion batteries that will power portable electronics and electric vehicles. “As far as we know, this is the first study that’s looked at the environmental impact of these materials,” says Hamers, who collaborated with the laboratories of University of Minnesota chemist Christy Haynes and UW-Madison soil scientist Joel Pedersen to perform the new work. The above post is reprinted from materials provided by University of Wisconsin-Madison. The original item was written by Terry Devitt. Note: Materials may be edited for content and length. 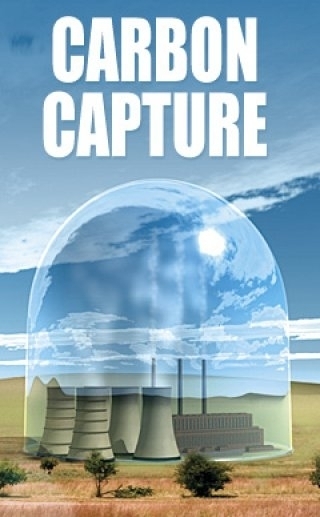 In the fight against global warming, carbon capture — chemically trapping carbon dioxide before it releases into the atmosphere — is gaining momentum, but standard methods are plagued by toxicity, corrosiveness and inefficiency. Using a bag of chemistry tricks, materials scientists have invented low-toxicity, highly effective carbon-trapping ‘sponges’ that could lead to increased use of the technology. A research team led by Emmanuel Giannelis, the Walter R. Read Professor of Engineering in the Department of Materials Science and Engineering, has invented a powder that performs as well or better than industry benchmarks for carbon capture. 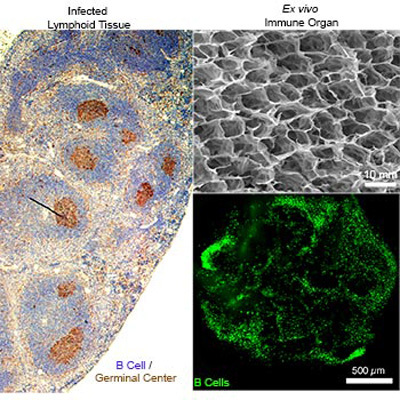 A paper with their results, co-authored by postdoctoral associates Genggeng Qi and Liling Fu, appeared Dec. 12 in Nature Communications. Used in natural gas and coal-burning plants, the most common carbon capture method today is called amine scrubbing, in which post-combustion, carbon dioxide-containing flue gas passes through liquid vats of amino compounds, or amines, which absorb most of the carbon dioxide. The carbon-rich gas is then pumped away — sequestered — or reused. The amine solution is extremely corrosive and requires capital-intensive containment.